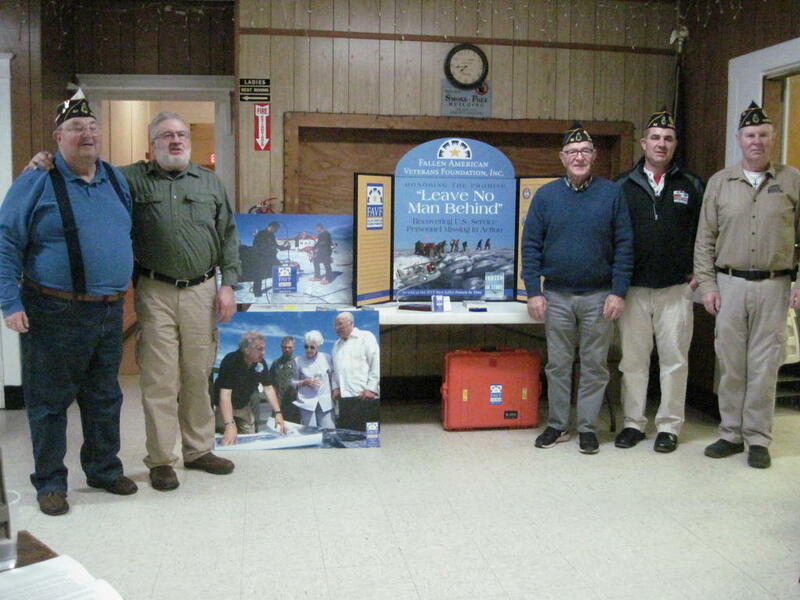 American Legion Post 62 on Feb. 6 welcomed guest speakers Lou and Jana Sapienza of Rockport. He founded the non-profit organization, “Fallen American Veterans Foundation,” which works to locate missing military aircraft and crew members lost overseas during WWII, Korea and Vietnam. Sapienza’s presentation focused on the search for a Grumman amphibious open cockpit biplane, its USCG pilot and radio operator, who succeeded in rescuing two crew members of a U.S. B-17 bomber that crash-landed on the glaciers of Greenland in 1942. A daring second rescue attempt ended in disaster with the loss of the Grumman, its two-man crew and a third member of the B-17 crew in white-out flying conditions.The post meets at 6 p.m. the first Wednesday monthly at its headquarters, 17 Dunn St.
GFWC Westbrook Woman’s Club will meet on Tuesday, Feb. 19, at the Westbrook-Warren Congregational Church, 810 Main St. The club will have a brown bag lunch at noon and drinks will be provided. The program will be on domestic violence and prevention. All woman are invited to attend. The Westbrook Safe Mobility and Access Committee will meet at 5:30 p.m. Wednesday, Feb. 21, at Westbrook-Warren Congregational Church, 810 Main St. It meets the third Wednesday monthly. Its mission is to educate, advocate and improve safety in Westbrook for pedestrians, bicyclists, children and seniors. The group has a Facebook page and its website is www.westbrooksafemobility.org. Post 62 this month learned about an effort to find missing military personnel. Pictured are Gary York, Post 62 commander; Lou Sapienza, founder of FAVF; Phil LeClerc, post chaplain; Phil Spiller Jr.; and Richard Galipeau, post treasurer.